This is one of my least favorite jobs when building an engine. I have yet to find a "good" way to trepan the side of a flywheel. 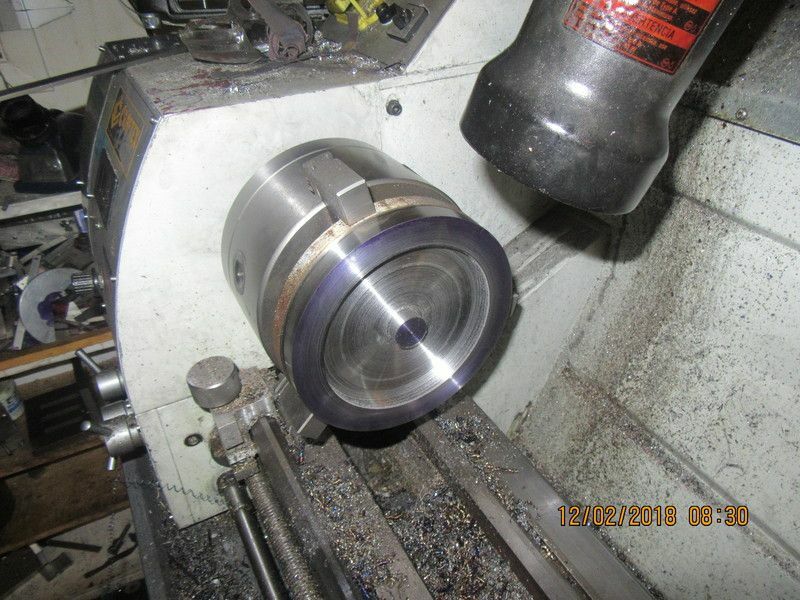 It isn't too horrible when using an aluminum center with a steel outer rim, but when you make the entire one piece flywheel from a single piece of steel, this job makes me crazy. There is simply no good way to go about it. I have one side of this flywheel done, except for a clean up cut. The carbide tools cut really well, but leave a rather ugly finish. the HSS tools leave a lovely finish but dull very quickly. When I do the far side of this flywheel, I will make a series of plunge cuts near the center hub (a total of 3/8" deep) and try using a brazed carbide turning tool to make successive cuts from the center out towards the rim. I've done it by swapping back and forth between right and left hand turning tools - on smaller wheels a center cut one too - lots of stopping/starting, ramping in the cuts and swapping tools. My smaller lathe doesnt handle trepanning cuts well. End result is looking good though! 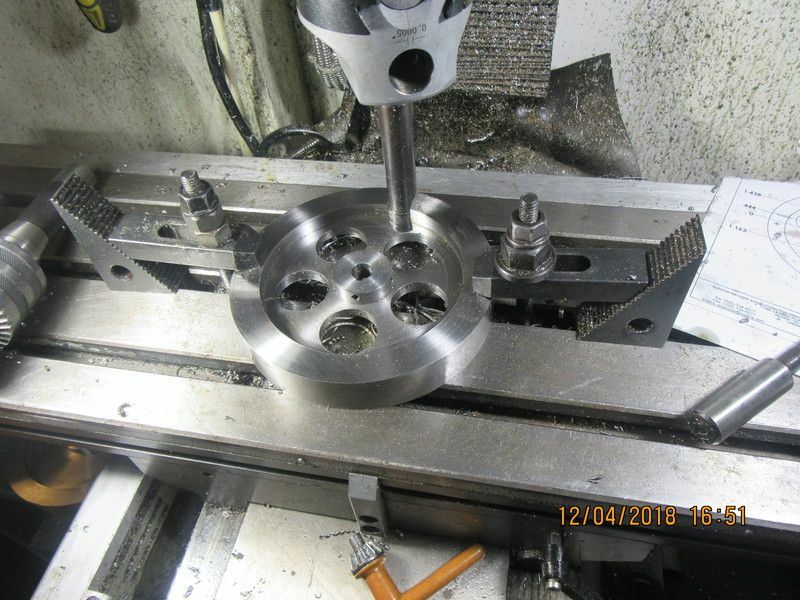 Drill a pilot hole, plunge in with an end mill leaving stock for finish turning, then rough out using the rotary table. It's just like milling! So there we are!! One done and one to go. 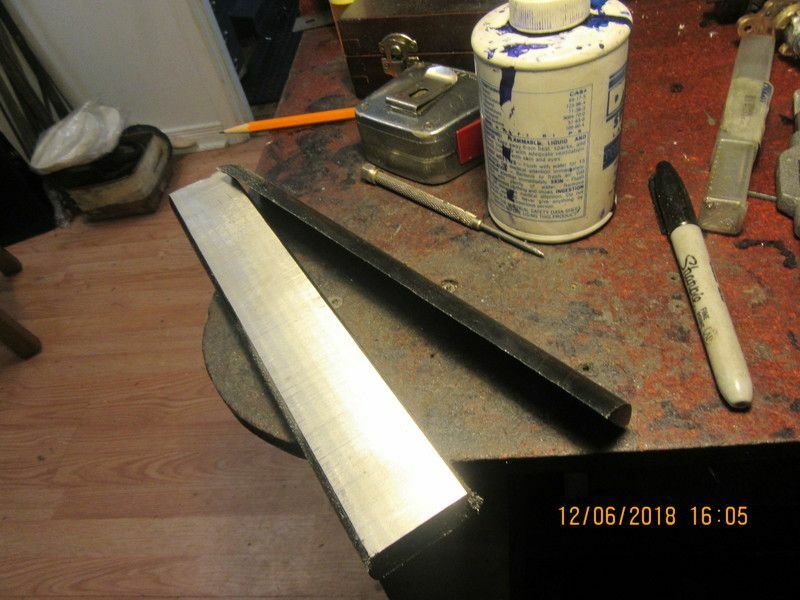 When I machined the second side, I found it to be easier if I took about 6 plunge cuts to full depth (3/8") nearest to the hub with a .093" wide parting blade HSS with the heel relieved quite a lot so it wouldn't rub. 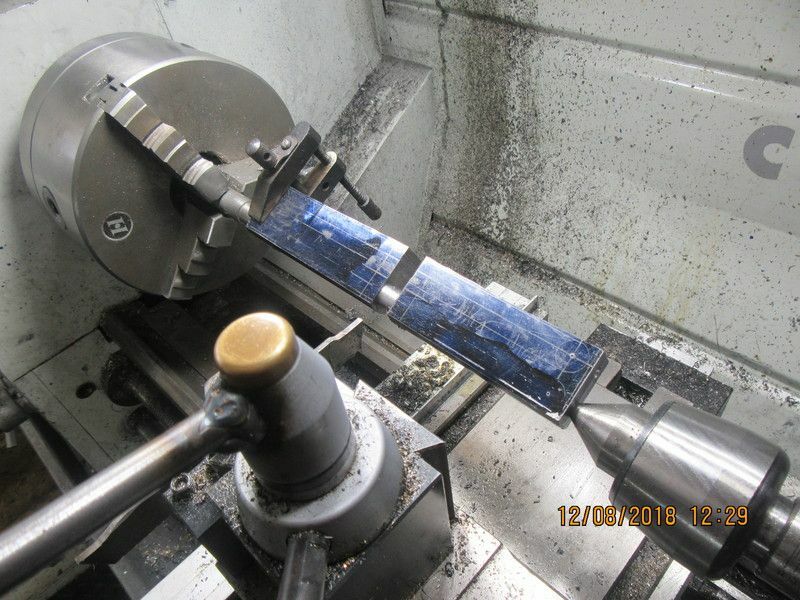 At that point I had a wide enough slot to get the end of a brazed carbide boring bar in there, and make repeated passes 0.010" depth of cut from the slot out towards the rim. This took a heck of a lot of cuts, but was easier to control. I will use that same method when I do the second flywheel. 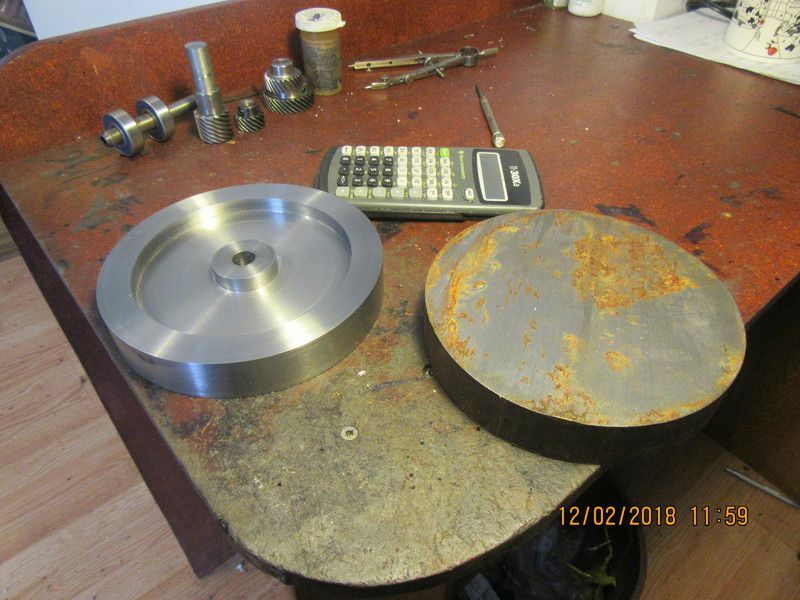 George--I did think of that, but my rotary table is smaller in diameter than the steel blanks, and I have a 3 jaw chuck mounted on it, that is so perfectly centered that I won't take it off. Those pucks could be train wheels! All you need to do is cut the flange in them and you're all set! Nice looking fly wheels, Brian. Yesterday afternoon and this morning, I've finally found enough time to finish this governor. I must admit, I had serious doubts about this one working. However, Craig DeShong just completed a hit and miss engine that was bought as a casting kit, using the same design (I copied his) and he got stellar results. His engine runs beautifully. I haven't done anything yet on the actual engine, because I've built as number of previous internal combustion engines, and there will be nothing really "new" about this one----Except the governor. Nicely done Brian. I believe you have a functional governor! Even with having to use the boring head to end up with 1 1/4" holes in the flywheel web, it wasn't that bad. The web is 1/4" thick, so I went around once using the DRO and a 3/8" dia. countersink. Then stepped right up to a full 1" drill, the biggest I have, and went around once with that. 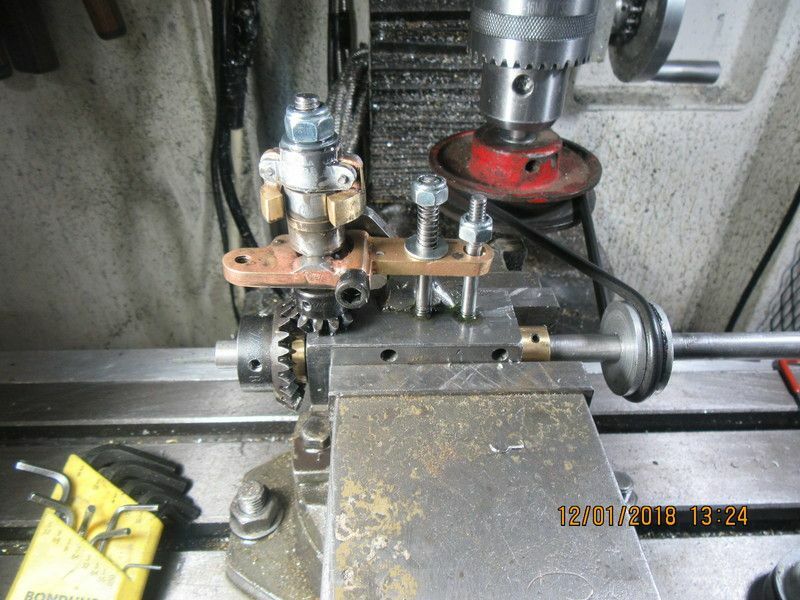 Then I put in the boring head and set it to bore a 1.150" dia. hole and went around once, then opened it out to bore a full 1 1/4" hole and went around one more time. It didn't take nearly as long as I thought it would. 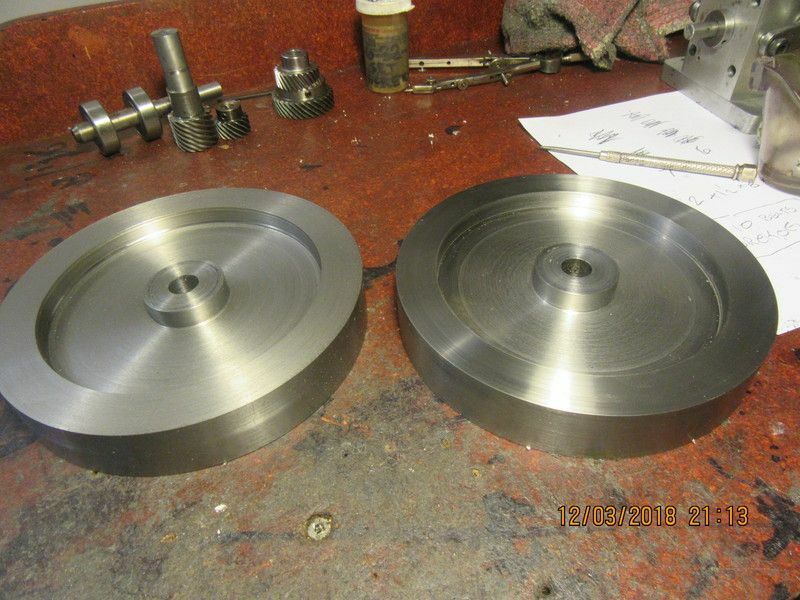 The keyways are broached in each flywheel and the set screw holes are tapped. I'm having a very "cranky" morning. You can only buy 1144 stress-proof steel in rounds. It doesn't come in flatbar.-So--I have the length of round stock clamped down and am flattening one side of it. I didn't want to cut the side off in the bandsaw, because my bandsaw has no fence. I have to take off 0.5" of material, and am taking 0.015" depth of cut at 500 rpm. I have taken 0.300" off in theis picture, and have 0.200 left to go. This is one of the few times I think about having a powered axis in the X plane. Once I get this side finished, I was going to flip the part over and do the other side in the mill, but after all the cranking I've been doing, I think I will make up a fixture and bandsaw most of the other side away. HAH!!! Old age and treachery and a bandsaw wins again. My bandsaw is slower than the second coming, but is still faster than milling all that material away. 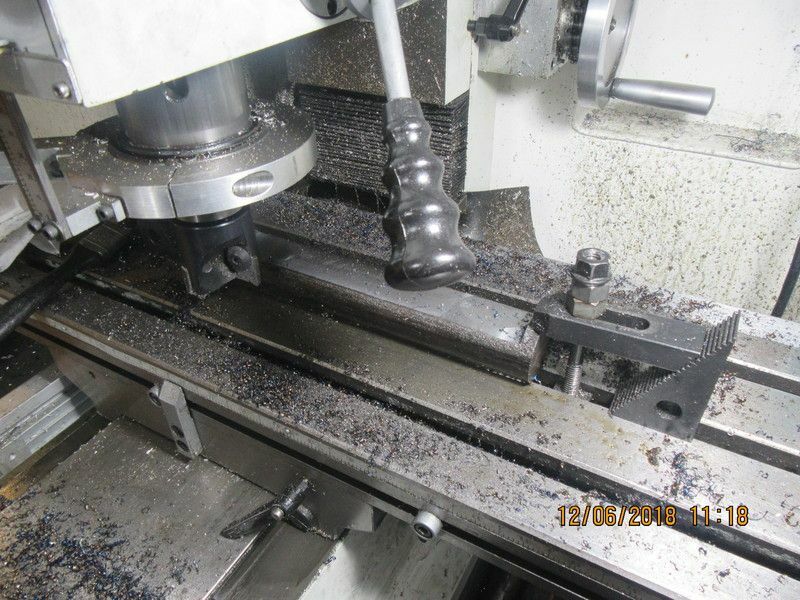 Now back to the milling machine for the final dressing. So here we are, with the 1 5/8" round of 1144 stress proof flattened on both sides and countersink holes drilled in each end for lathe centers. I have a rather sketchy machinists clamp with a bolt tapped into it for a drive dog, and the con rod journal turned to 0.502" diameter. Next step will be to glue a spacer into the gap, saw away as much waste material as I can, then turn the other diameters.